Have you enjoyed meeting Archie Harlanson, trucking’s newest hero, in Detour, A Big Rig Thriller? 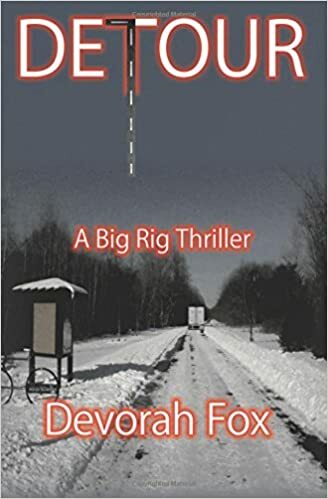 This novel tells the tale of a truck driver who starts out planning to meet his girlfriend’s parents and stumbles upon a plot to harm the president of the United States. Those in the trucking industry will appreciate seeing a CMV driver portrayed in a positive light. Readers will get an idea of what a working truck driver’s job and life are like. This entry was posted in truck driving and tagged truck driving. Bookmark the permalink.